Hi! 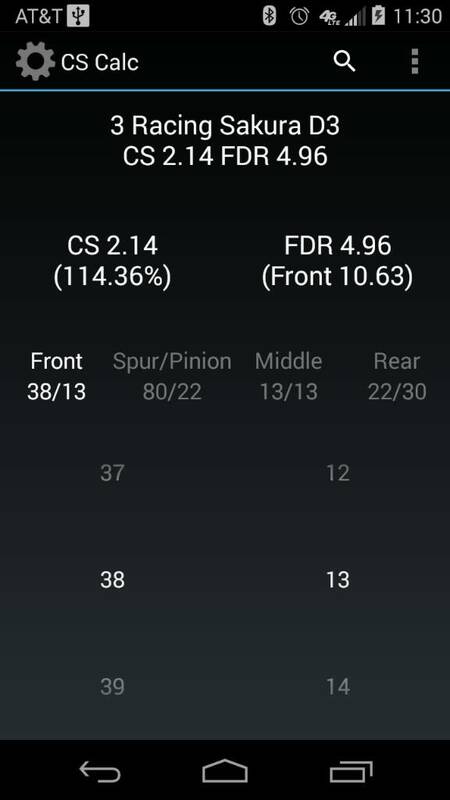 I want to share my CS and FDR calculator with chassis base for Android. It would be great if you try it and say your opinion. P.S. If your chassis is not in the list write all gear sizes here and I'll add them in update. Here's mine. I like this app cause its easy to use and I can save my set up so that way I can keep track what Turn pulleys i need to buy when one wares out.